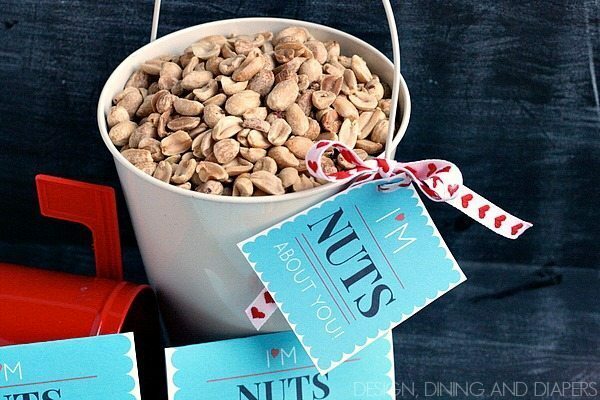 There is no better time than the present to start planning for Valentine’s Day! 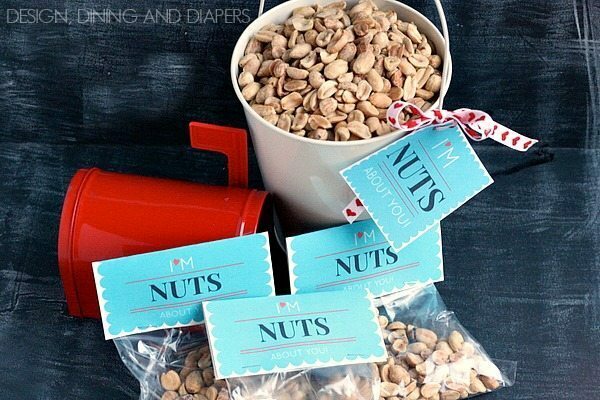 Do you make handmade favors with your kids? Or do you throw a festive party every year? 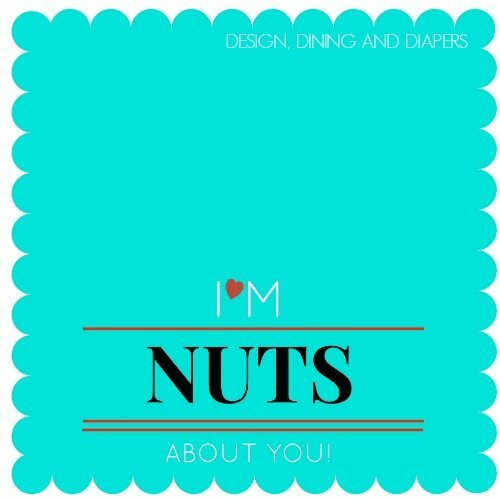 Valentine’s Day is such a fun day to celebrate, especially with kids. 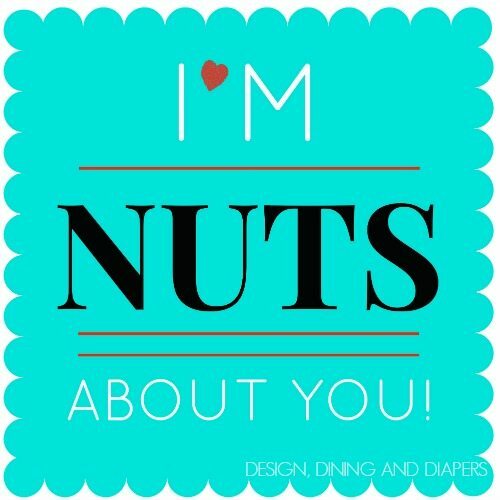 Today, I’ve put together a FREE Valentine’s Day Printable for you: “I’m NUTS About You!” All you have to do is download, print and cut! Easy. 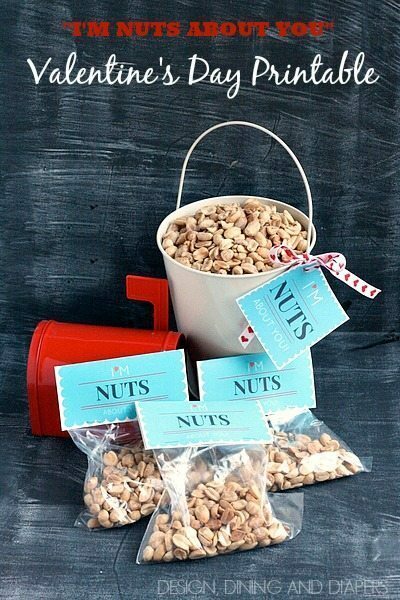 Who doesn’t love cheeky favors during this time of year?! 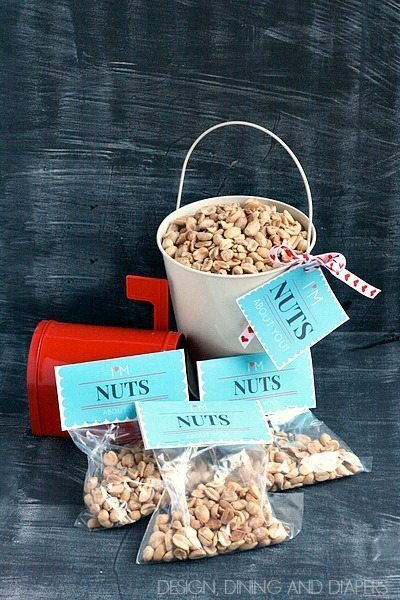 Or print off the bag wraps and give them out as favors. 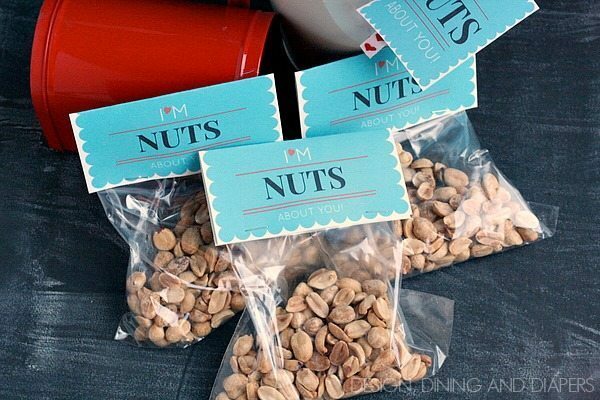 For the favors, I just filled plastic sandwich bags with peanuts and then folded the top so it would fit into the label and secure with a few staples! It’s always great to be here!